For those who have hair loss and would like to regrow their hair this is exactly what you need. Mix one tablespoon of Jojoba oil, 3 drops of rosemary oil, 3 drops of lavender oil, 1 drop of lemon balm oil, 1 drop of atlas cedar wood oil, massage the mixture into the scalp with fingers. Leave in for 30 minute or overnight, then shampoo as usual adding one drop of rosemary oil to each shampoo application. As a final rinse, add one drop of lavender oil and one drop of rosemary. 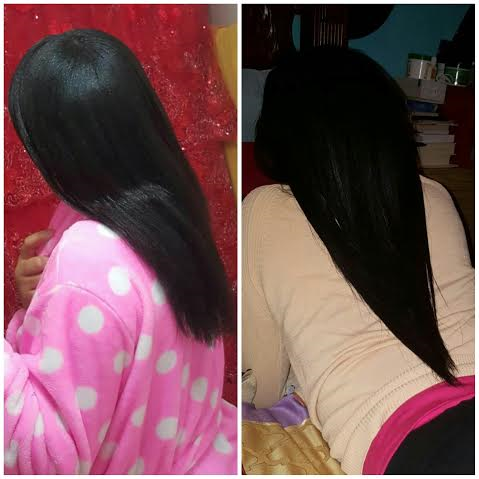 pour a quart of cool water over your head and within 3 months you will see a difference in your hair. Share and pass on the information as well as 2520fitness.com. Matthew 10:8 "...freely ye have received, freely give."